668 Summer Haze Circle- Large Custom Built Home with Views! 668 Summer Haze Circle is located in the west side of Bishop, off of Barlow in the Park West Neighborhood. This highly desired neighborhood is just outside of the city limits, and you will often see your neighbors out walking with their families and pets. 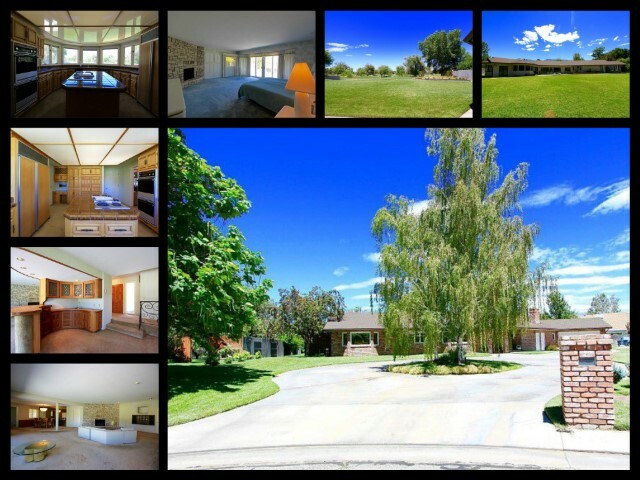 Property details for 668 Summer Haze Circle, Bishop California. This 3 bedroom 3.5 bath custom home was well thought out from the beginning. Grand and open, the living room, dining room and wet bar lead to entertaining family, friends and guests. The stone fireplace, anchor the room and makes for a warm and inviting center piece. Along the back of the home from the bedrooms to the kitchen nook, windows highlight the spacious backyard, patio and views. Tucked at the end of the cul de sac and backing to open land, you find yourself in a private oasis. The low maintenance, fully landscaped yard offers room to expand and add your own personal touch. The backyard offers a patio with views you’ll appreciate of the Sierra Nevada Mountain Range from the front yard. Down Barlow is where you will find a great place to raise a family. It is far enough away from the city if you like to star gaze but still close enough to make it around town in a short amount of time. Bishop is a great place for hiking and fishing, and other great outdoor activities if you please. Close enough to the local college and local schools. If you like a little relaxation after a long day of work you will have the beautiful views of the local mountains as well as the soothing sound of the trickling creek running through your backyard.